Spottiswoode Suites is the newest hype of prime property development ideally located at Spottiswoode Park Road, Singapore District 02. TOP is expected in year 2017. This sophisticated property development features a wide array of great amenities to provide you with a lavish cosmopolitan living experience at attractive Spottiswoode Suites Price. Spottiswoode Suites is a luxurious 36-storey skyscraper. A very modern establishment with state-of -the-art features. 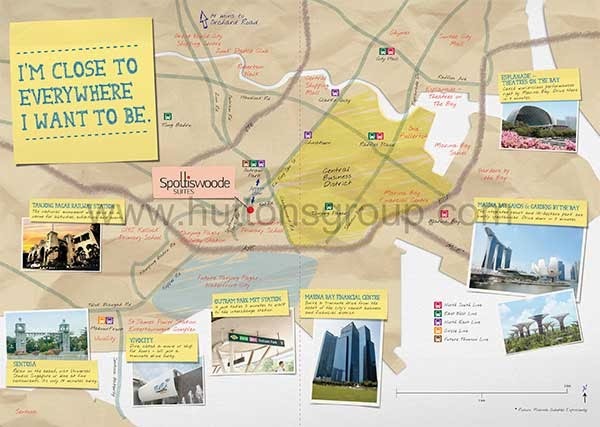 Its primary location is ideal for you to experience first hand the wonders of well-known destinations such as the Marina Square, Great World City, Suntec City, Vivo City, Tanjong Pagar Plaza and a lot more. You will crave the superb taste of heavenly dishes offered by great restaurants that are just a walk away from the building.You can also freely roam around the great parks like the Tanjong Pagar RICOH Park, Raffles Place Park, Tiong Bahu Park and Pearl's Hill City Park. There are also prominent schools and university at close proximity such as the Shelton College International, Eton House International School, and Canadian International School among others. Spottiswoode Suites is very accessible with MRT stations close to the area such as the Outram Park MRT, Shenton Way MRT, Tiong Bahru MRT, Raffles Place MRT and a lot more. Driving will be a hustle-free experience when you travel through Central Expressway (CTE), East Coast Expressway (ECP), West Coast Highway and Ayer Rajah Expressway (AYE).